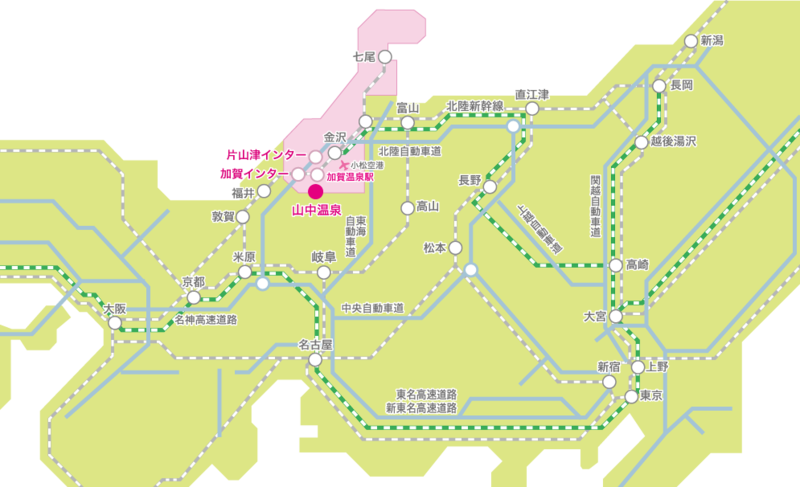 Free transfer service from Kaga-Onsen Station to Ohanami Kyubei. Advance reservation is required until the previous day, so please book by phone etc. 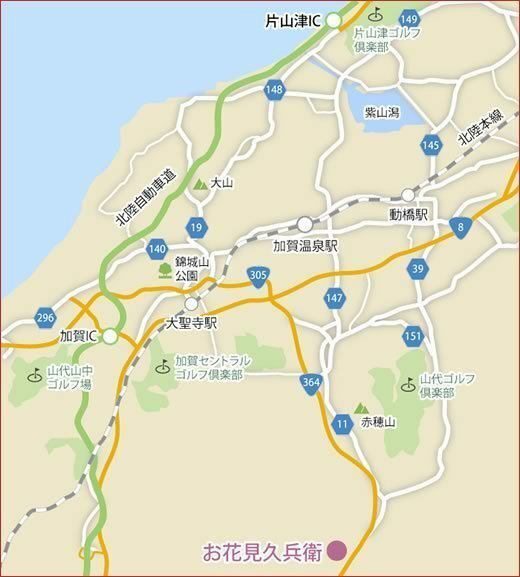 In addition, it is fine to apply for the bus from Ohanami Kyubei to Kaga-Onsen Station after check-in until breakfast the next day. We do not operate the bus for the time when there are no guests of the reservation, so "Please be sure to reserve" Thank you. ※The following time schedule is not a scheduled flight. Please go to the right after you exit the ticket gate at Kaga-Onsen Station. 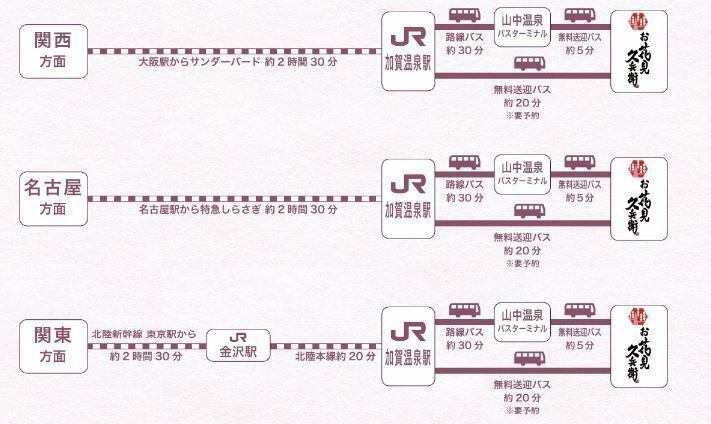 Customers planning to arrive at Kaga-Onsen Station at any time other than the above time, please use the bus line though excuse me. Kaga-Onsen Station, if you are going to "To Yamanaka Onsen", get off at Yamanaka Onsen Bus Terminal and use free transfer (reservation system) of Ohanami Kyubei. In case of getting on "Toyono", get off at the Ose Ohashi Bridge and walk 3 minutes.